Just hours after a federal judge shot down the White House’s claim to sweeping immunity from Congressional oversight, Sen. Patrick Leahy (D-Vt.) fired off a round of letters renewing his demand for testimony from Karl Rove and White House Chief of Staff Joshua Bolten. The Senate Judiciary Committee chairman sent a letter to White House Counsel Fred Fielding asking whether the two officials will agree to testify in light of today’s ruling against the Bush administration’s blanket claim of executive privilege. The investigation at issue is the allegedly political firings of eight U.S. attorneys. 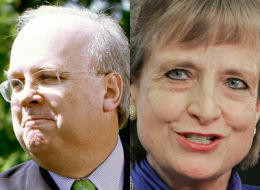 The Senate committee issued subpoenas in June and July 2007 for Bolton and Rove to testify on Capitol Hill. “Today’s decision renders the grounds for Mr. Bolten and Mr. Rove’s refusal to comply with the Committee’s subpoenas moot,” Leahy wrote in the letter to Fielding. Leahy also sent a terse letter to Attorney General Michael Mukasey asking whether he planned to rescind the legal memos based on the theory of blanket executive privileged that the judge dismissed today. Please advise me by no later than next Thursday, August 7, when you will withdraw the erroneous [Office of Legal Counsel] opinion from Stephen Bradbury relied upon by the White House to justify its non-compliance with congressional subpoenas since that opinion has been repudiated by the court.In addition, please inform me whether the court’s decision will cause you to re-evaluate your memos and those from [Office of Legal Counsel] in support of overbroad and unsubstantiated executive privilege claims not only in the U.S. Attorneys investigation, but also in other matters, like the claims used to block Congress from investigating warrantless wiretapping, the leak of the name of undercover CIA agent Valerie Plame for political retribution, and White House interference in the Environmental Protection Agency’s decision-making. Which of these do you now intend to withdraw? Leahy sounds like he’s asking for a complete surrender in this ongoing battle over White House officials’ testimony. But there’s a lot of litigation still to go in this case. What is Bush So Afraid Of… ? President Bush seems to be slowly turning the nation’s massive surveillance apparatus upon its citizens, and some worry that administration assurances to protect civil liberties are nothing but empty promises. With his update to a decades-old executive order governing the Intelligence Community, Bush is giving the Director of National Intelligence and the 16 agencies of the US Intelligence Community more power to access and share sensitive information on Americans with little to no independent oversight. The update to Executive Order 12333, first issued by former President Ronald Reagan, introduces a more prominent role for the Attorney General in approving intelligence gathering methods, calls for collaboration with local law enforcement agencies, eases limits on how information can be shared and urges cooperation between the IC and private companies. 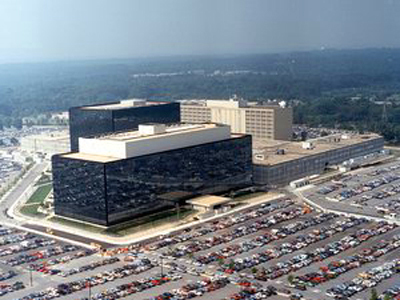 “This Intelligence Community that was built to deal with foreign threats is now being slowly and incrementally turned inward,” says Mike German, policy counsel for the American Civil Liberties Union, in an interview with RAW STORY. Bush’s latest update of a decades old executive order governing intelligence activities is a “lit fuse” that could end with the Constitution’s immolation, another ACLU official says. “This kind of concentrated power, exercised in secret, is a lit fuse with our Constitution likely in danger of being burned,” said Caroline Fredrickson, director of the ACLU Washington legislative office. Economic Disaster: US Lost 2.3 Million Good Jobs To China Since 2001! America’s trade deficit with China is hitting close to home, with New York State losing 127,000 jobs to China between 2001 and 2007, a study released today by the Economic Policy Institute and the Alliance for American Manufacturing found. Since the Chinese entrance into the World Trade Organization in 2001, 2.3 million American jobs have been lost to China, including 366,000 in 2007 alone, the report said. Of those, 21,000, or nearly 6%, come from New York. The American trade gap with China, the largest portion of America’s national trade deficit, accounts for $263 billion. Jobs lost range from blue-collar assembly jobs to high-tech executive positions, and data from the study show that replacement jobs, often lower paying retail or service positions, earn an annual average of $8,146 less for each worker, or $19.4 billion nationwide. “Workers are being pushed out of good jobs in manufacturing,” a senior international economist at the Economic Policy Institute, Robert Scott, said. New York has lost the third most American jobs to China, with only California and Texas losing more. Moreover, manufacturing is the third largest contributor to New York State’s economy, accounting for $61 billion of its gross state product, according to the Alliance for American Manufacturing. “Our flawed trade relationship with China is destroying good jobs in New York,” the executive director of the alliance, Scott Paul, said. In addition to manufacturing, the technology sector has been affected by China, the report found. More than a quarter of last year’s $68 billion trade deficit was from computers and advanced technology products, nearly six times the deficit in that sector in 2002, the study showed. By contrast, America has a $15 million trade surplus with the rest of the world in advanced technology products. The Economic Policy Institute, a Washington, D.C.-based think tank, focuses on lower- and middle-income Americans, and has a number of labor union leaders on its board of directors, including the president of the United Auto Workers Union, Ronald Gettelfinger, and the president of UNITE HERE and vice president of the AFL-CIO, Bruce Raynor. The report was conducted in conjunction with the Alliance for American Manufacturing, a partnership of American manufacturers and the United Steelworkers of America. Jeremy Scahill, author of Blackwater: The Rise of the World’s Most Powerful Mercenary Army, is worried about the giant mercenary firm’s latest foray into private intelligence. “They’re marketing their services to not only foreign governments, but to Fortune 500 corporations,” he recently told an interviewer. The forthcoming paperback edition of Scahill’s book on Blackwater, which appeared in hardcover in February 2007, will include 100 pages of new material, including a discussion of last September’s shooting spree in Baghdad by Blackwater operatives — which killed 17 Iraqi civilians but for which nobody has ever been charged. However, Scahill’s greatest concern at present appears to be Blackwater’s venture into the private intelligence business. “His thirty-year CIA career, his network of contacts, his knowledge that was gained through his work in the most sensitive areas of the United States government is now on the open market for hire,” Scahill said sadly. This video is from ExpandedBooks.com, broadcast July 30, 2008. Any reaction to the Inspector General’s report that found that the Department of Justice illegally discriminated against Democrats in the hiring of non-political judges and prosecutors? Does the President take responsibility for the failed leadership that allowed the nation’s top law enforcement agency to break the law and abandon its long tradition of independence from politics? I attended both the morning “gaggle” and the more formal, televised briefing in the early afternoon. The gaggle was sparsely attended. I was one of only six reporters sitting in the first two rows, so I thought my chances were pretty good. Dana Perino called on the other five—they asked about the housing bill, offshore drilling, and Iran’s defiant nuclear enrichment program—but then Perino abruptly ended the session after just 13 minutes. PETROL companies faced growing demands to cut prices last night after the full scale of their profiteering from the soaring cost of crude oil emerged. 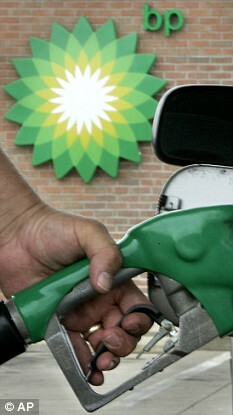 BP announced half-yearly profits of £6.75billion – with £4.3billion coming in the past three months alone. That amounts to nearly £2million an hour or £555 a second. The three-month income was 56 per cent more than the same period of 2007. BP’s £6.75billion profit alone would cover up to 25p a litre off petrol prices for more than a year, said one industry analyst. With other oil companies expected to reveal similar profits in the next few days, there was growing clamour for the Government to impose a windfall tax on the industry. The calls were echoed by hundreds of thousands who backed a successful Daily Express crusade earlier this year for the Government to scrap a planned 2p rise in fuel duty proposed for October. But research has shown that a fuel tax cut of 14p a litre could be supported by the Treasury’s own windfall from North Sea oil tax revenue – and the Daily Express crusade is continuing. Last night BP was accused of “picking the pockets of the poor and needy” when millions of hard-pressed Britons are buckling under the rising cost of living. Tony Woodley, joint leader of the Unite union, said: “While ordinary working people struggle to make ends meet, BP’s boardroom is wading through knee-deep profits. White House attorneys are quite capable of coming up with creative legal arguments. The problem, though, is that judges aren’t willing to reward their creativity. President Bush’s top advisers are not immune from congressional subpoenas, a federal judge ruled Thursday in an unprecedented dispute between the two political branches. House Democrats called the ruling a ringing endorsement of the principle that nobody is above the law. In his ruling, U.S. District Judge John Bates said there’s no legal basis for Bush’s argument and that his former legal counsel, Harriet Miers, must appear before Congress. If she wants to refuse to testify, he said, she must do so in person. The committee also has sought to force testimony from White House chief of staff Joshua Bolten. “Harriet Miers is not immune from compelled congressional process; she is legally required to testify pursuant to a duly issued congressional subpoena,” Bates wrote. He said that both Bolten and Miers must give Congress all non-privileged documents related to the firings. Because I know this is the first question on the minds of many political observers, I should note that Bates was appointed to the federal bench by none other than George W. Bush. Indeed, Bates has, in general, been a Bush administration ally (he threw out Valerie Plame’s suit against Karl Rove, for example). The first thing to watch for is how quickly it takes Congress to follow up. Democrats swiftly pledged to call Miers before the Judiciary Committee as soon as September to testify about whether the White House played any role in the firings of nine U.S. attorney’s last year…. [Judiciary Committee Chairman John Conyers] signaled election-season hearings will be held on the controversy that scandalized the Justice Department and led to the resignation of a longtime presidential confidant, Attorney General Alberto Gonzales. The second thing to watch for is the appeal. The AP noted that Conyers “said he hoped that Miers and Bolten do not appeal the ruling.” Fat chance. The White House will almost certainly appeal, and hope to run out the clock before Bush’s presidency ends. Depending on the speed and efficiency of the appeals bench, this might work. Third, this is not at all good news for Rove, who continues to claim the same “absolute immunity” that Bates rejected yesterday. The right will no doubt dismiss it as judicial activism because, well, that’s what they always say when they lose.